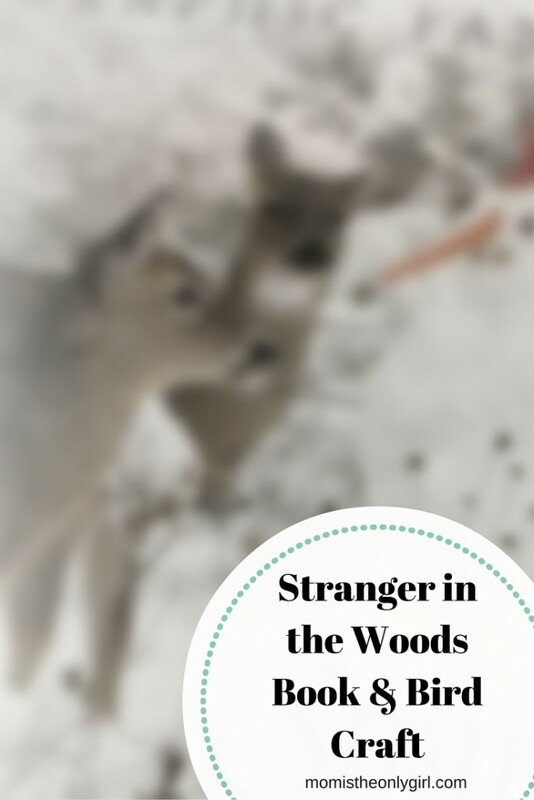 Yesterday I shared the love my family has for the book Stranger in the Woods: a Photographic Fantasy, by Carl R. Sams and Jean Stoick, and a picture of the red cardinal bird we made based on the red cardinal in the book. Today, I’m sharing how we made the cardinal! Please check this book out as a possible gift for your little ones. It is such an endearing story and the photographs in it are beautiful! 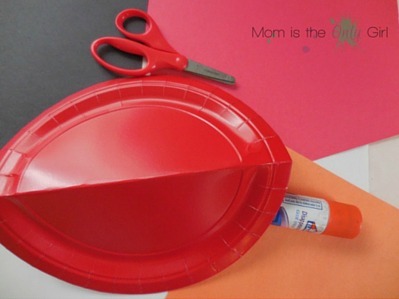 Get/make red paper plates. We didn’t have red paper plates the first time we made these, so we painted our white plates red and they came out fine. Make your feathers for the tail. 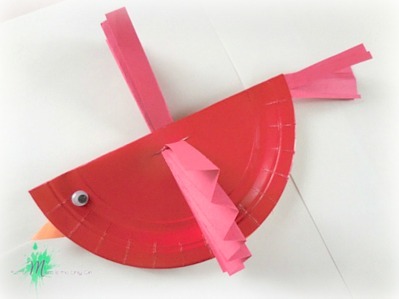 Make several feathers out of red construction paper for the tail. Sweet Pea had the idea to use red streamers, but we didn’t have any. Simply cut out red construction paper into triangles and fringe one edge. You can get creative with this part, or just make them very simple, depending on what you want your bird’s tail to look like. Make the face. You’ll need to add an orange (or black) triangle for the beak. Have it ready for the next step. Make eyes for the cardinal or have google eyes ready. Get gluing! 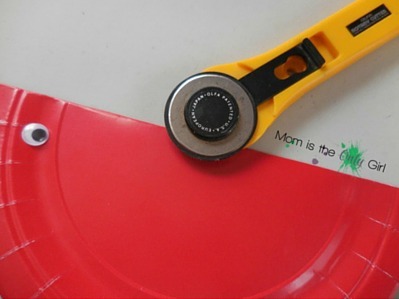 Once the paint is dry, fold your paper plate in half, matching up the curved edge. The fold line is the top of the bird. ~ Glue your red tail feathers into place for the tail. It’s important to fold first! You could simply glue one feather right at the fold and fold that, also make sure to glue it only in that spot. You could also glue a feather or two on to each side of the fold. That’s the tail! ~ Then glue the front of the bird only, sticking the folded orange triangle on for the beak. We punched a hole in the top center of the bird (making sure it balanced) and hung it in front of the window! 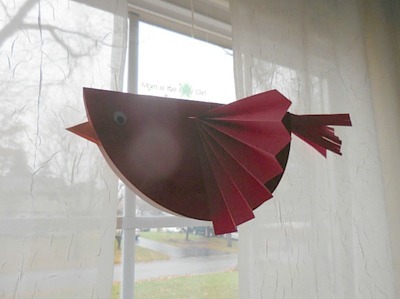 A beautiful, kid-made red cardinal, just like in Stranger in the Woods! For me, its not about the finished product, the process, or the boys following directions. Its about spending time together having fun working towards a common goal! When our projects turn out this cute its a bonus! Bonus: This summer we made these as white birds with rainbow tails, using different colored curled ribbon for the tail. 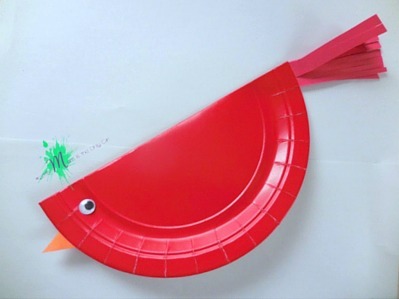 So many ideas for this paper plate bird/cardinal craft! Wish I had gotten a picture of those – they were very pretty!